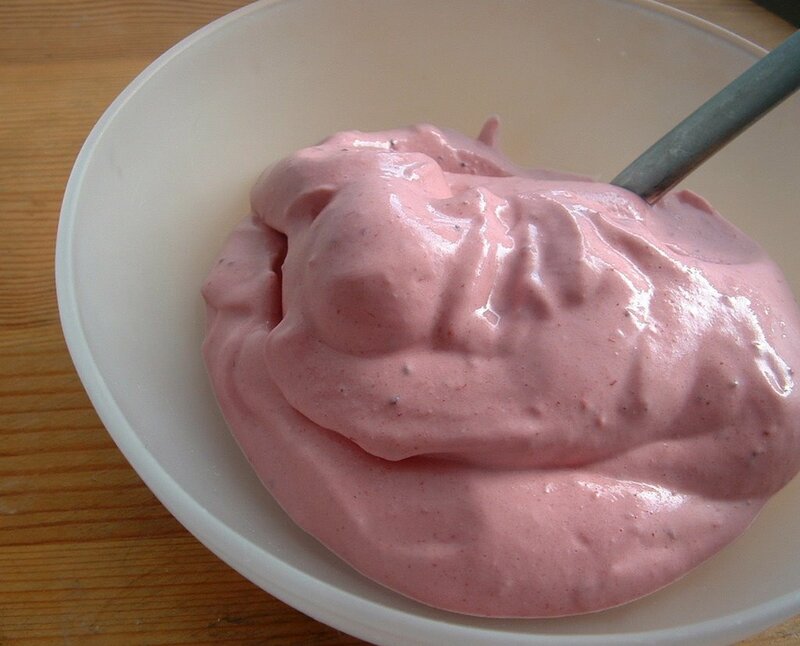 Trying to use up the rest of last year’s frozen strawberries to make a little room in the freezer, I made strawberry whipped ricotta this morning. It’s so delicious, it’s like having strawberry ice cream for breakfast, but without the guilt. Put the frozen berries in a food processor and blitz until pulverized, then add the ricotta, a bit of sugar, and a splash of vanilla. Blend until smooth. I never measure exactly, but I probably use 1 1/2 cups or so of berries, and about 2 cups of ricotta. This is also amazingly good made with cocoa powder instead of strawberries (a couple of tablespoons) and a bit of extra sugar – top with fresh raspberries for a real treat (and to justify eating it for breakfast). Tastes like chocolate mousse! I tried to reply yesterday, but seem to be having trouble. That looks really good. I was just thinking that I need to do something with all my frozen strawberries.